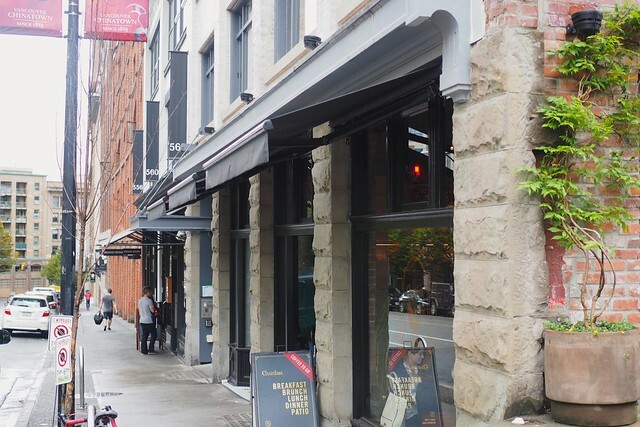 Crosstown—Brunch at the still relatively new location of the otherwise decade old Chambar Restaurant is an undeniably pleasant experience. 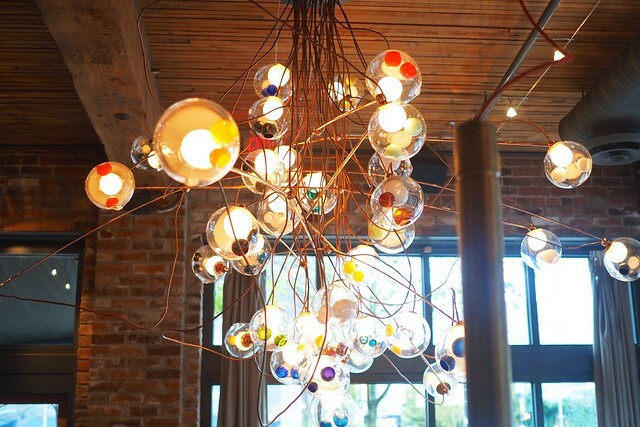 Their well-regarded Belgian-focused menu aside, the space is already an inspiring fixture of dining and design in the cross section of downtown aptly known as Crosstown on Beatty Street near the Stadium District. A trip to Chambar (or their former sister restaurant Café Medina for that matter) is usually incomplete without an order of their trademark waffles (with milk chocolate lavender and white chocolate pistachio rosewater) as an almost necessary treat to supplement your weekend meal. 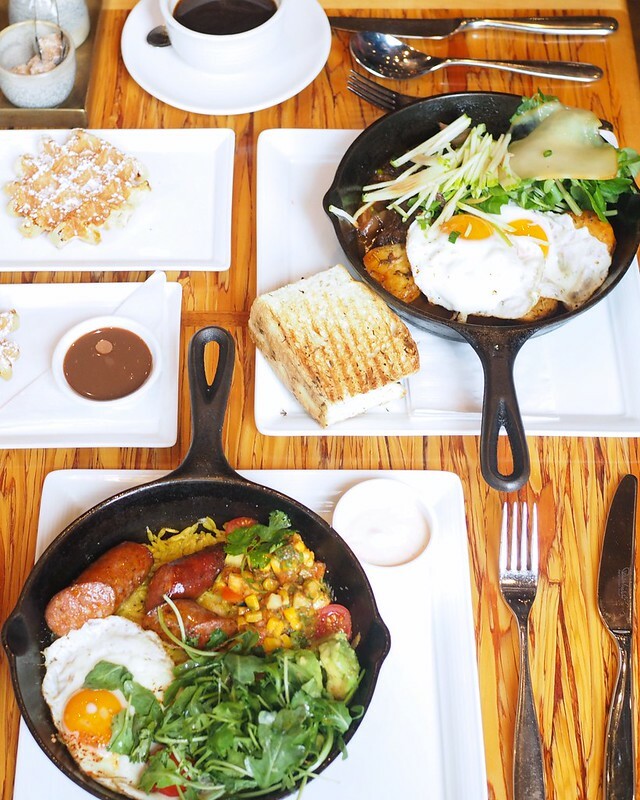 A glance at the diverse and appetizing sounding brunch menu and the paella (with a fried egg, curried orzo, spicy sausage, zucchini, red pepper, roasted corn, and Grana Padano) immediately caught my eye (and stomach). It was fairly delicious in its diverse but satisfying mix of flavours in skillet form. We also shared the staple fricassée (with braised short ribs, balsamic cipollini onions, potatoes, watercress, fried eggs, and applewood smoked cheddar) and it was suitably delectable in its combination of meat, eggs, and potatoes in a nice package (also in skillet form). 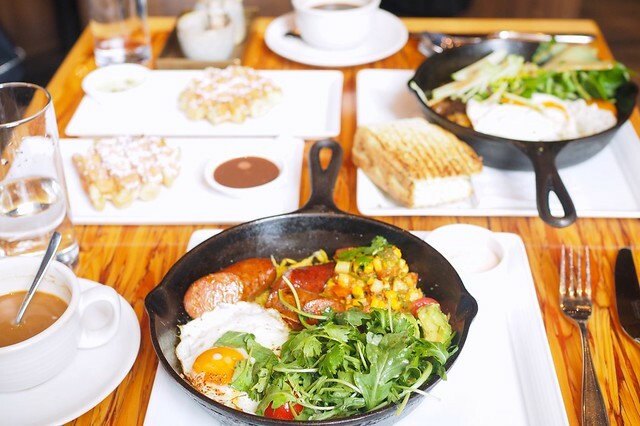 Chambar's weekend brunch service is an unsurprisingly welcoming complement to their notable overall dining experience.